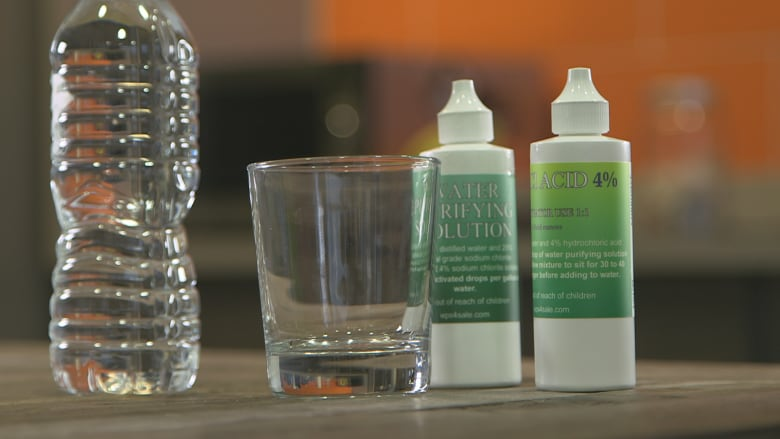 A diluted industrial bleach mixture — touted by an online church as a miracle cure for everything from cancer to HIV/AIDS and autism — is being promoted and sold in Canada, despite Health Canada warnings it is unsafe for human consumption, the fifth estate has found. Watch the fifth estate's "True Believers" tonight on CBC Television at 9 p.m. The mixture is commonly known as Miracle Mineral Solution, Master Mineral Solution or MMS and is mainly promoted as something to be taken orally or through enemas. It contains sodium chlorite, which Health Canada warns may pose serious health risks if ingested. Sodium chlorite is "a chemical used mainly as a textile-bleaching agent and disinfectant," the federal health agency says, and warns consumers to "stop using MMS products immediately." Since 2010, Health Canada has issued seven health warnings for MMS. The mixture — also sometimes known as Chlorine Dioxide Solution (CDS) — is being used in some cases by parents who are looking for a way to "cure" their children of autism. 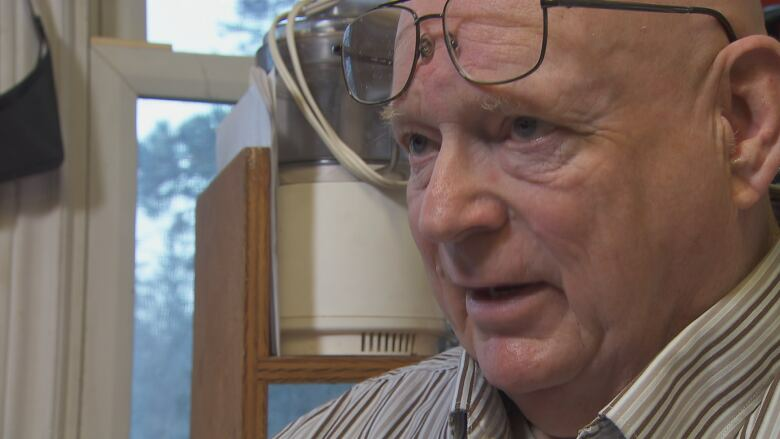 "We have several case studies that have been published of people that have consumed sodium chlorite and had very serious side effects, including renal failure," said Lynda Balneaves, the director of the Centre of Integrative Medicine at the University of Toronto, which tests alternative medicines for safety and efficacy. 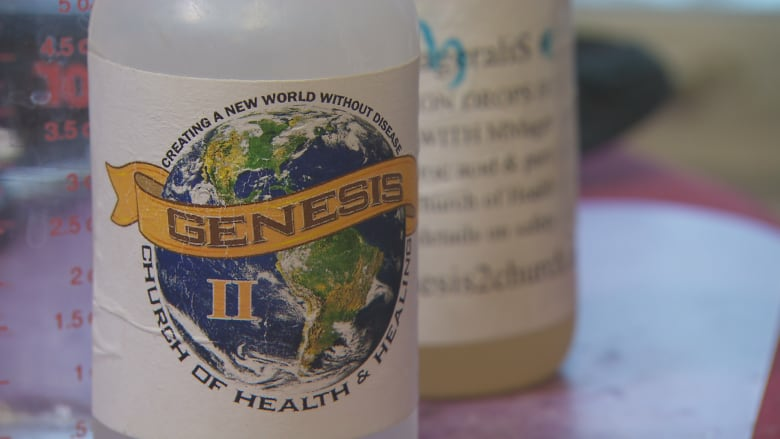 The main promoter of MMS is the Genesis II Church of Health and Healing, which refers to itself as "non-religious." The church claims that after five years in operation, its miracle solution has reached 115 countries and that it has trained more than 1,800 "health ministers." 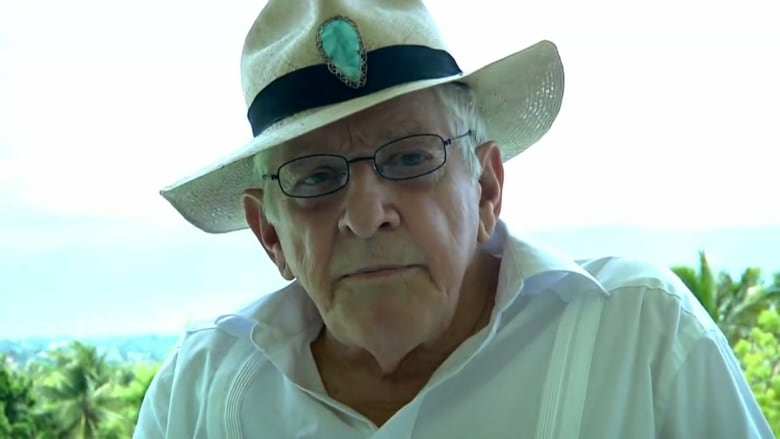 The online "church" was founded by an American named Jim Humble. 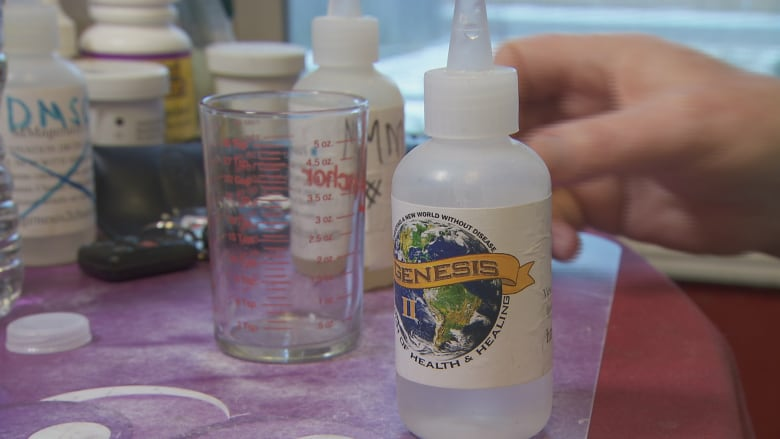 For $35, you can buy a membership to the Genesis II Church that Humble says will allow you to claim religious exemption from vaccines and X-rays. "I'd say up to 95 per cent of all diseases caused by pathogens can be cured with MMS," Humble wrote in his 2006 self-published book, Breakthrough The Miracle Mineral Solution of the 21st Century. "We are on the edge of eradicating most diseases that afflict mankind — forever." Humble also claims he is a billion-year-old god from the Andromeda Galaxy who has come with others to save Earth. In Canada, there are at least six trained "health ministers" located across the country who are enthusiastically promoting MMS. Royce Hamer, of Freelton, Ont., is one of them. Now a "bishop" in the church, he's participated in three training seminars and told the fifth estate he has healed hundreds. Hamer also said that he has had "six complete eliminations of cancer." There is no way of knowing how many people in Canada are actually using MMS. But there are indications its use is growing among some parents of children with autism, who share their experiences in online forums and at conferences. Alexis Cuthbert is the founder of the Regina-based Casey Foundation for Autism Support. She was recognized for her work through the foundation with a Queen Elizabeth II Diamond Jubilee Medal from the Governor General. She and her husband Don used CDS to treat their teenage son with autism, according to a testimonial video posted online. Don Cuthbert provides advice on CDS through a private forum and a Facebook group boasting 8,000 members. The Cuthberts declined an interview. But in an email statement to the fifth estate they said: "We hope that many will research and experience the safety and effectiveness of chlorine dioxide use, as we have." This worries April Griffin, an artist and mother of four in northern Saskatchewan. She and three of her children have autism. When Griffin first heard that two respected people in the autism community in Saskatchewan were promoting the use of CDS, she worried that other parents looking for treatments would be more willing to try it. "I think it's born out of desperation. It's born of fear. And I believe these parents are honestly trying to cure their children," Griffin said. "You know, I don't think they hate their kids. I think they're afraid and they're not being educated." Griffin is part of a global network of autism advocates trying to stop the use of CDS on children and raise awareness about the church's actions worldwide. She said she has complained to the Government of Saskatchewan about the use of MMS. "To me it's simple, you just report it and it should end, but nothing happened," she said. The province told the fifth estate it can't discuss any cases involving children and MMS due to privacy concerns. 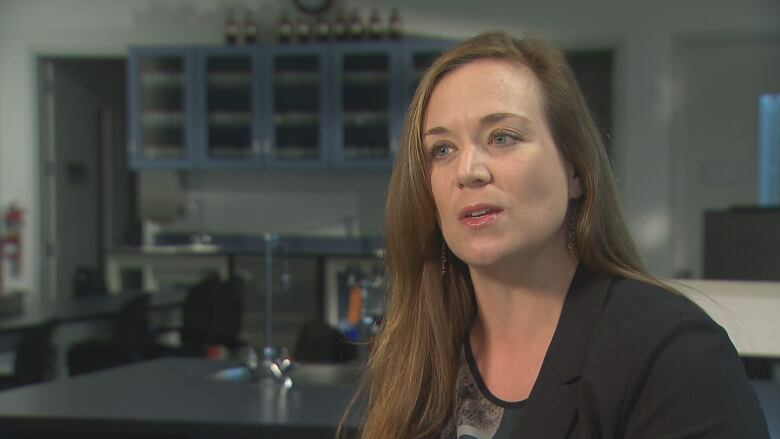 While the government said it alerted regional health authorities about the presence of MMS in Saskatchewan, it also deferred the fifth estate's questions to Health Canada. "The provincial Ministry of Health does not have legislated authority over these products and no mandate to specifically enforce the sale or promotion of such products," the department said in a statement to the fifth estate. For its part, Health Canada says "no drug products containing sodium chlorite have been approved for consumption by humans," so the sale of MMS is not permitted under Canada's Food and Drugs Act and its regulations. Health Canada also says it has sent letters to many vendors, requesting them to "cease sale of this product immediately," and has confiscated products and shut down websites. But MMS is still easily available from some members of the church and online vendors both in Canada and abroad. In the U.S., authorities have arrested one prominent seller of the product, which American health officials described as "industrial bleach." He was sentenced to four years in prison.